In Dickens's Bleak House Jarndyce had a Growlery to grumble in, I would quite like one of those. Ooh, I want a Growery. Today's Metro has a gorilla posing pensively. 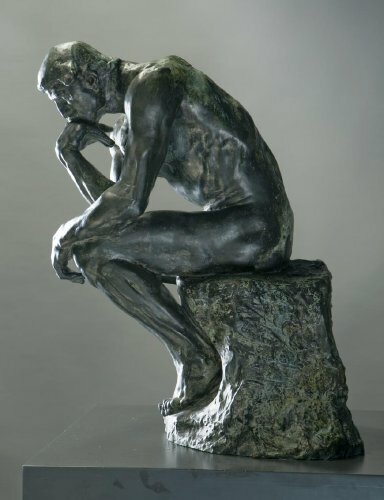 Seems much happier than Rodin's thinker.